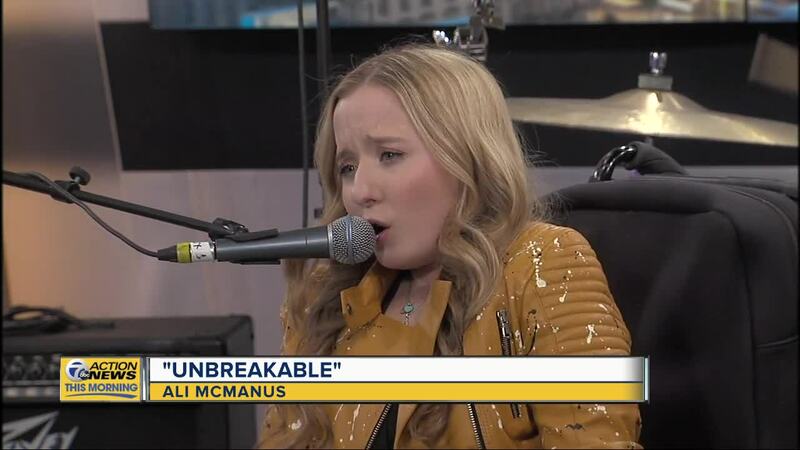 DETROIT (WXYZ) — Ali McManus is a singer and songwriter who believes in the power of positivity. You can see her perform live on Sunday, February 17, at Quicken Loans Winter Blast Weekends in Campus Martius Park in downtown Detroit. She'll take center stage at 7:10 p.m. on the Michigan Lottery Statge in Cadillac Square. McManus's album, Unbreakable, is available now on Amazon, iTunes, and Spotify.